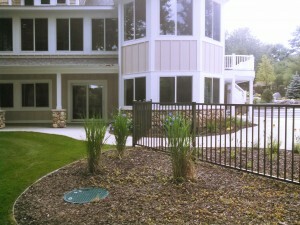 Here are some pictures of a bronze aluminum pool fence. 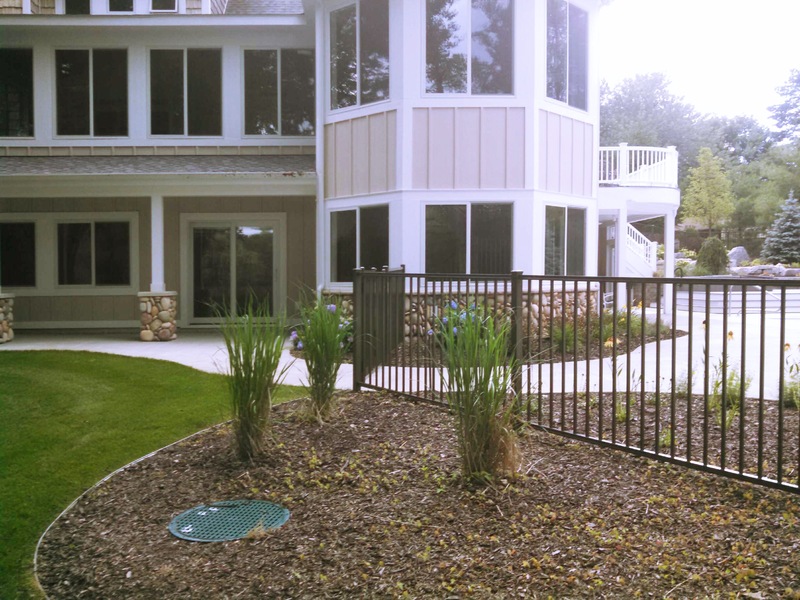 Aluminum comes in seven different colors, depending on the specific manufacturer. Black and bronze are popular colors and typically the quickest to obtain. As you can see in the below pictures, bronze blends beautifully with nature. 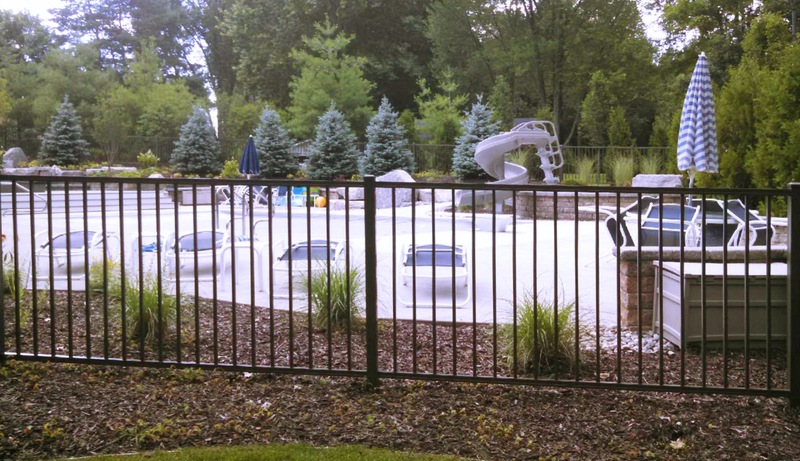 Bronze Aluminum Ornamental Pool Fence in Grand Rapids, Michigan. 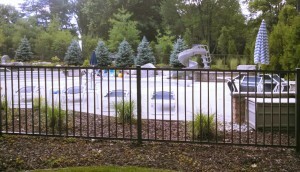 Bronze Aluminum Ornamental Pool Fence. 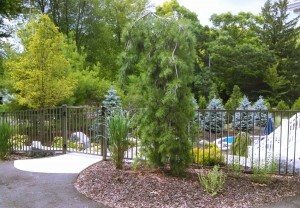 A Fence that Keeps Everyone Happy Modern Horizontal Cedar Fence.